Аннотация к книге "The Ascent of Money: A Financial History of the World"
Bread, cash, dosh, dough, loot. Call it what you like, it matters now more than ever. 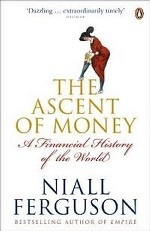 In "The Ascent of Money", Niall Ferguson shows that finance is the foundation of all human progress and the lifeblood of history. From the cash injection that funded the Italian Renaissance to the stock market bubble that sparked the French Revolution, from the bonds that fuelled Britain`s war effort to the Wall Street Crash and today`s meltdown, this is the story of boom and bust as it`s never been told before. Whether you`re scraping by or rolling in it, there`s no better time to understand the ascent of money.